I go to a lot of restaurants, and have done for years. 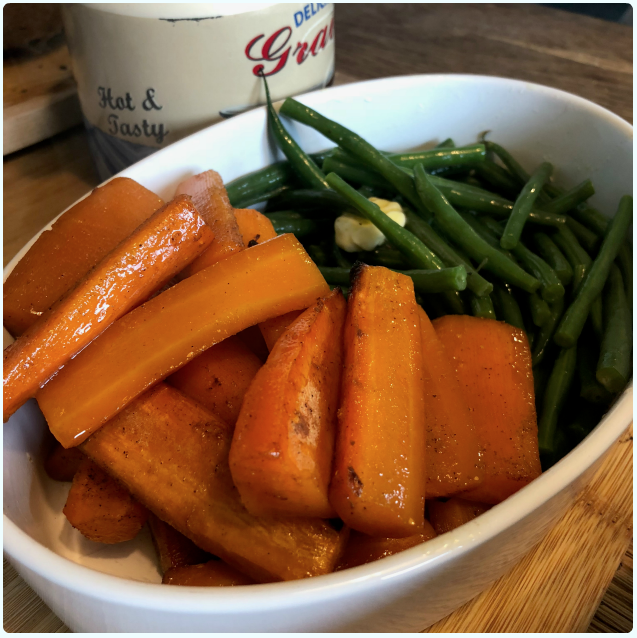 One of my favourite meals is the classic Sunday roast with all the trimmings. The more trimmings, the better. Beef, chicken, lamb or pork, I'm not bothered. I just love that carb partnered meat fest. I've written up a few really good ones recently, which got me thinking about this. 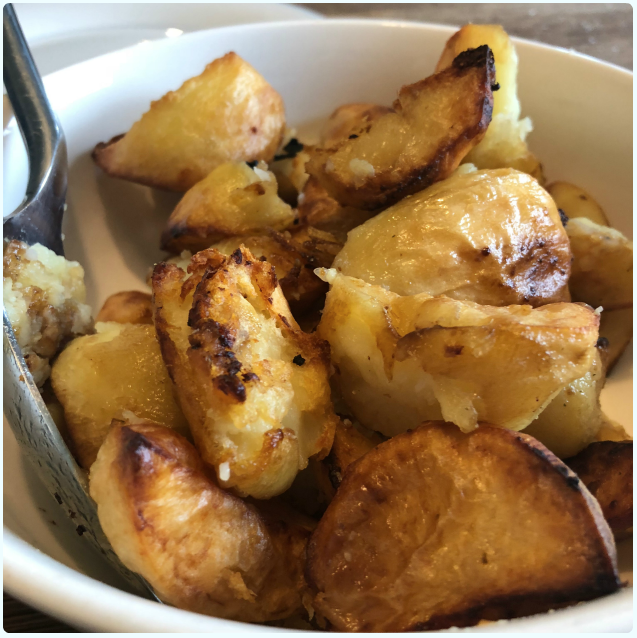 My friends Wayne and Vicki do the best roast ever, so I'm going to tell you all about it. Their house isn't really called the Cinnamons either, but if it had a name, it would definitely be that. You can't go round for tea, because that would be well weird, but you can do your own version, and be jealous of me. 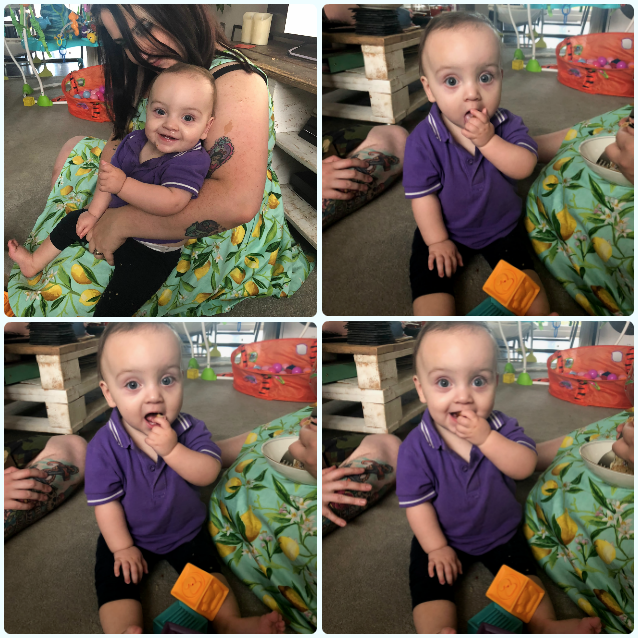 I'm not going to say much, but am going to expose you to some pictures which will make you angry that you were not there, and I was. Vicki still basks in the glory of one of my favourite meals ever; french onion soup, then venison stew with shoestring fries. We had it the night before I flew to Mauritius to get married, but we won't judge it on that! It's still one of the happiest evenings of my whole life. Both of them are excellent cooks, but Wayne takes the lead when it comes to roasts. He even used to have a legendary gravy pan, which has since bit the dust and been replaced with a newer version. Vicki rules the roost when it comes to sides (they never run out). 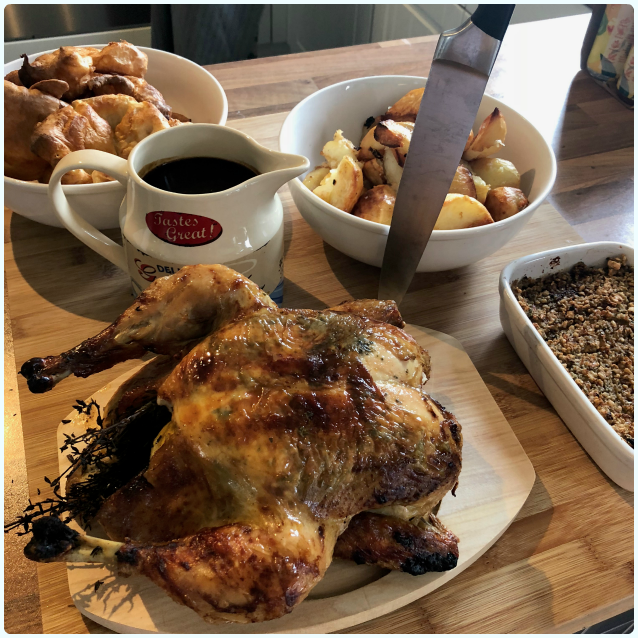 Roast chicken: The Gary Rhodes method I believe! Super moist and packed with herby flavours. 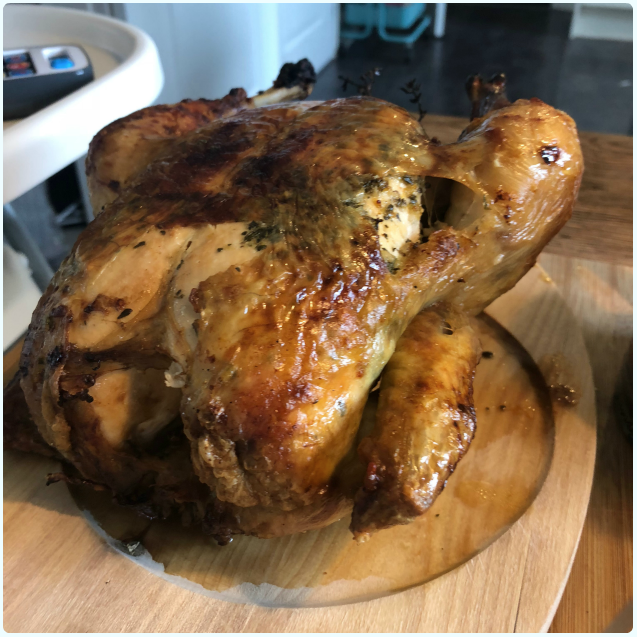 Best roast chicken ever. 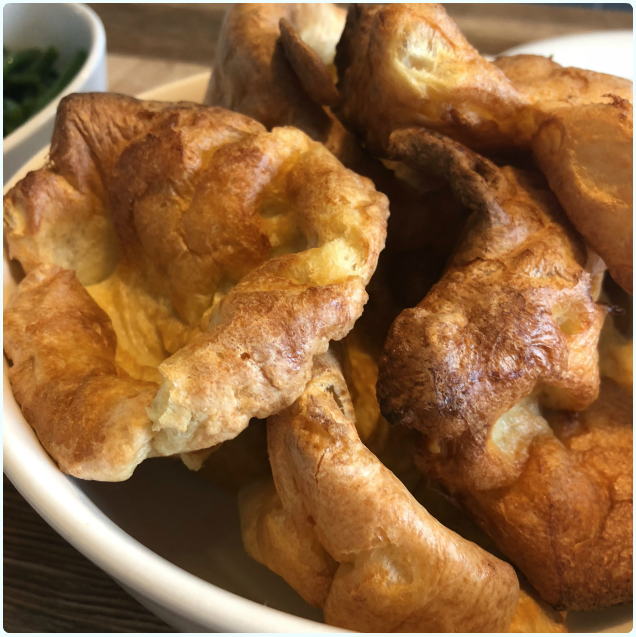 Yorkshires: Soft on the bottom, fluffy on the inside, crispy on the outside (bit like me...) Found myself thinking about these the following Tuesday afternoon. Roasties: I am making myself angry now. They are so crisp. And not here now. They were great. 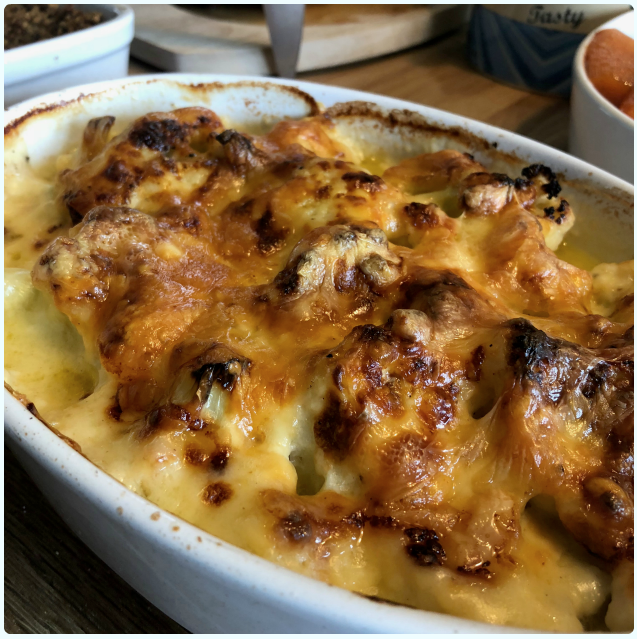 Cauliflower cheese: And there we have it. Essential food group three is fully nailed, and even counts as one of your five a day. Veggies: What makes vegetables even better? That's correct, the glisten of a tonne of butter. Stuffing: I have a stuffing rule. 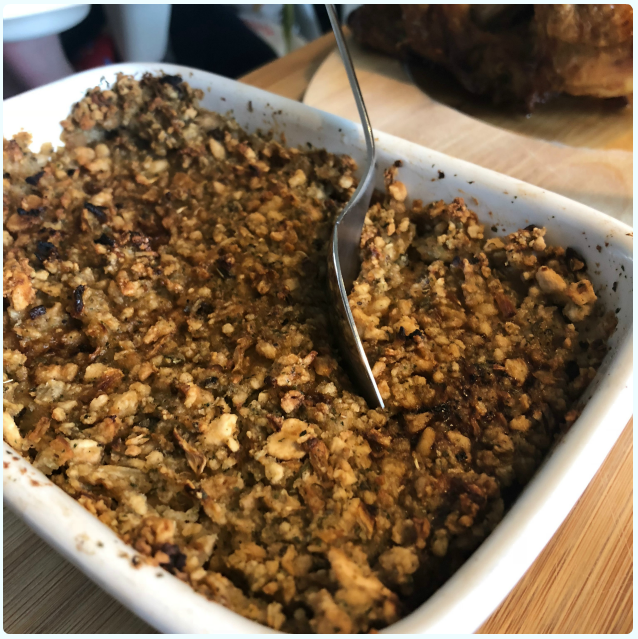 Thou shalt not serve stuffing that looks wet, for it should have crispy edges. Nailed it. 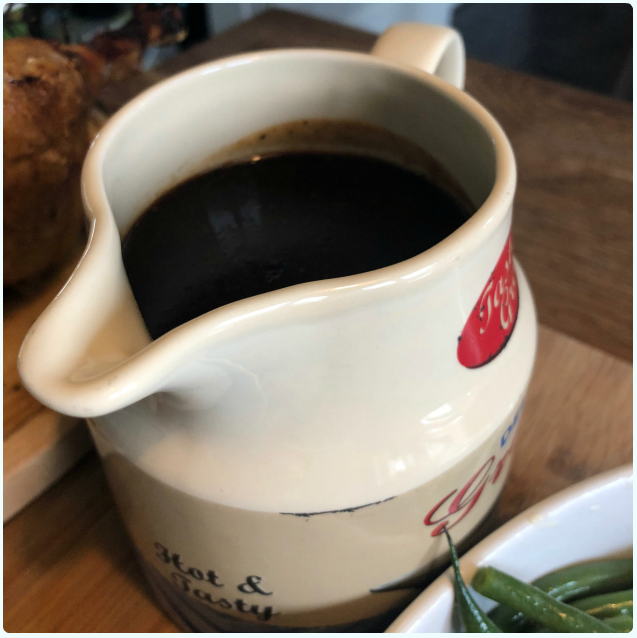 Gravy: (Puts on Penny Lad's voice) Ooh, Wayne makes an excellent gravy! Rumour had it that he put prosecco in this one. I am literally shaking my head at how much I have annoyed myself writing this post. I laughed at the start about how jealous you would all be. Now I'm the one who's fuming. The deal is, I provide pudding. It's what we do. 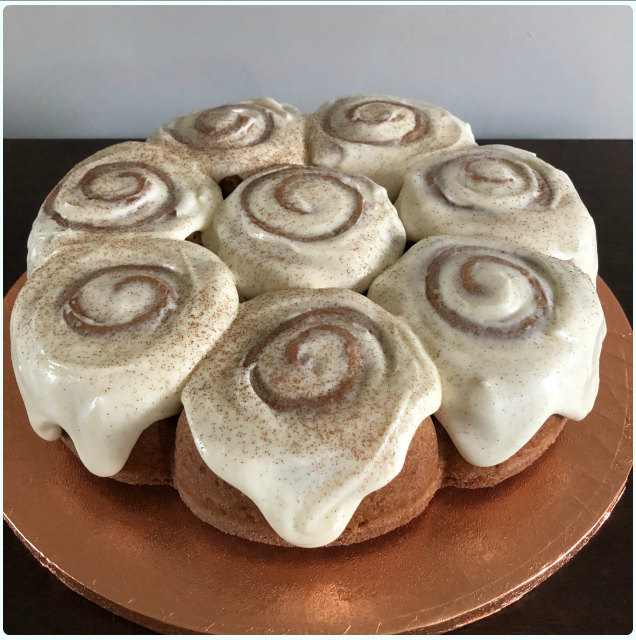 Wayne had a right mouth for cinnamon buns, so challenged me to a bundt version. Tah dah! Best bit about dessert? Matilda's first piece of bundt cake. She loved it and I will be eternally joyful when I think about the smile on her little face! I can't wait for the day that one of them is on Masterchef, and I can say I knew them when they sat scoffing a Square Slice with us on a Friday night. Thank you for yet another wonderful night.